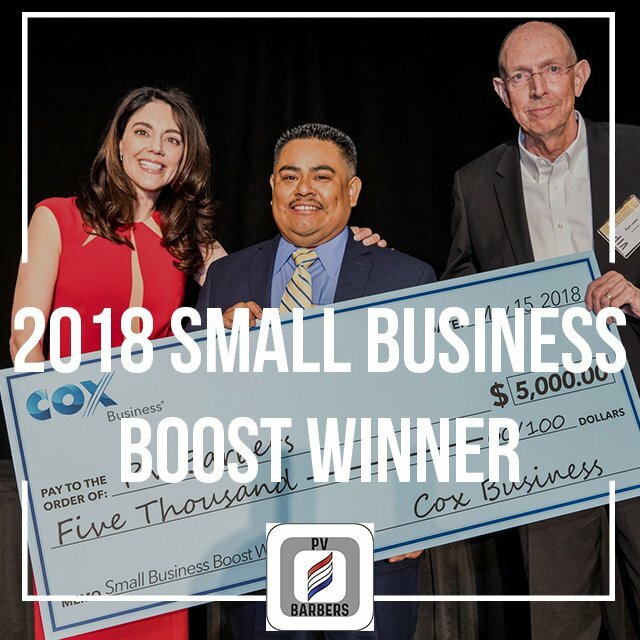 Today, Ruben Rivera Master Barber and Owner of PV Barbers LLC, was awarded the “Winner of 2018 Small Business Boost” Contest — Proudly Sponsored by Cox Business and presented at the EBAL. This entry was posted in PV Barbers. Bookmark the permalink. Back to School Haircuts with PV Barbers!